In his 45-year career as a litigator, David Bremer has had experience in almost all types of civil cases. As a result of his extensive trial success, he has been elected to the American Board of Trial Advocates (ABOTA) and holds the highest (AV) Martindale-Hubbell® attorney rating. David has major litigation expertise in construction defect, tenant habitability, commercial litigation, professional errors and omissions defense, and personal injury cases. He has handled complex environmental, products liability, corporate, and real estate matters, as well as corporate dissolution, trade secret, and intellectual property litigation. 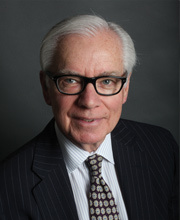 Moreover, he has served as a member of the faculty of the Center for Trial and Appellate Advocacy at the Hastings College of Law, University of California, San Francisco, and as a judge pro tem and arbitrator in numerous courts. David has also taught college courses on business and on the environment. In addition to the State Bar of California, David is licensed to practice before the United States Supreme Court, the U.S. Court of Appeals for the Seventh and Ninth Circuits, and federal trial courts in California and Illinois. Past and present memberships include the Bar Association of San Francisco, the Marin County Bar Association, the National Association of Railroad Trial Counsel, the Defense Research Institute, the Defense Seminar Association of San Francisco, and the Association of Defense Counsel of Northern California. Construction, business, commercial, insurance, civil litigation. Litigation and trials in construction defect, tenant habitability defense, commercial litigation, professional errors and omissions defense, major personal injury litigation defense. Managed office for national law firm. Supervised major professional errors and omissions and construction defect litigation throughout northern California and northwestern United States, products liability defense, general insurance defense. Railroad litigation (FELA defense), medical malpractice, products liability and general insurance defense. Railroad and marine litigation (FELA and Jones Act defense); products liability, medical malpractice, general liability insurance defense. Elected to the American Board of Trial Advocates (ABOTA). Rated AV (highest possible) by Martindale-Hubbell®. Licensed to practice before all state courts in California and Illinois; United States Supreme Court; U.S. Court of Appeals, Seventh and Ninth Circuits; U.S. District Court, Northern District of California; U.S. District Court, Eastern and Southern Districts of Illinois. Served as a member of the faculty of the Center for Trial and Appellate Advocacy, Hastings College of the Law, University of California; served as judge pro tem and arbitrator throughout Bay Area; taught business and environmental courses at college level. David has been designated as a Northern California Super Lawyer and has been chosen as a Top Rated Lawyer in Construction Law. Tried to conclusion 37 cases in state and federal courts in California and Illinois. As lead trial counsel, settled pretrial more than 1,000 cases; has written appellate briefs and presented oral argument in federal and state courts of appeal.